Animal rights extremists believe that animals should not be considered property because animals are “sentient beings” and any use of them by humans is unacceptable. Extremists also equate meat consumption to animal abuse and compare today’s animal agriculture industry to the holocaust. If you have seen its infomercial, you probably concluded the Humane Society of the United States (HSUS) is an animal “welfare” organization affiliated with your local humane society. That is not true! 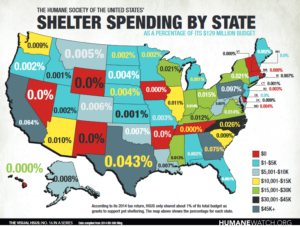 In 2009, HSUS spent less than 1% of its $121 million budget on animal shelters. HSUS is well-funded “animal rights” – not “animal welfare” – organization based in Washington D.C. with an extreme agenda referred to as the Three-Rs. HSUS advocates for the “reduction”, “refinement” and “replacement” of meat, egg and dairy products in human diets replacing them with vegan and vegetarian alternatives.